How is the shift to ambulatory care impacting providers’ business and operational models? What innovations are helping providers reposition for success? 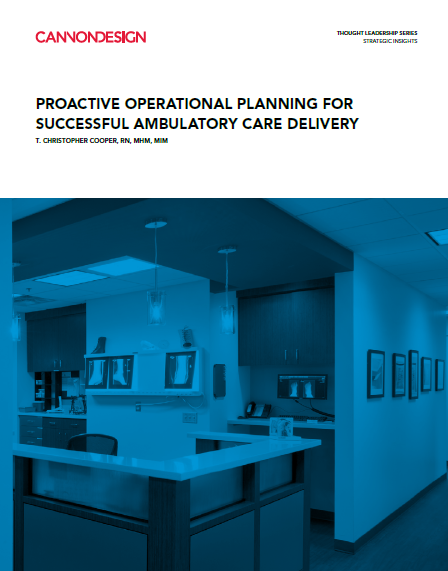 In this paper, Chris Cooper, Health Practice Leader with CannonDesign’s Advisory Services, discusses the various ways healthcare providers can strategize to address a new era in ambulatory care delivery. After examining the historical forces that are driving this change, Cooper discusses operational and design solutions such as increasing exam room utilization, optimizing clinical modules, and utilizing operational planning tools such as the Plan-Do-Check-Act (PDCA) cycle.